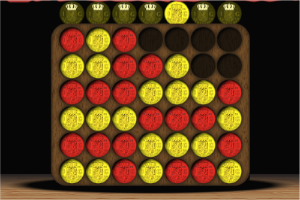 Play the well known game of connect-4 (a.k.a. four-in-a-row) on your iDevice running iOS 4.0 or higher. 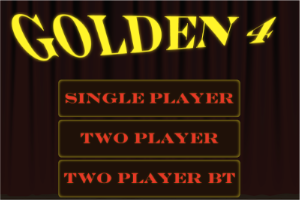 Play head-to-head on one and the same device, or via bluetooth against any other iOS device (all running iOS 4.0 or higher) with Golden 4 installed, or play a single player game against the computer to enhance your tactics.